We will be going to one of the greatest collections of World War II and Korean Warbirds in the world. Rod Lewis has his very private collection in San Antonio and the Super Sabre Society has been granted a tour of the facility. It is not open to the public. 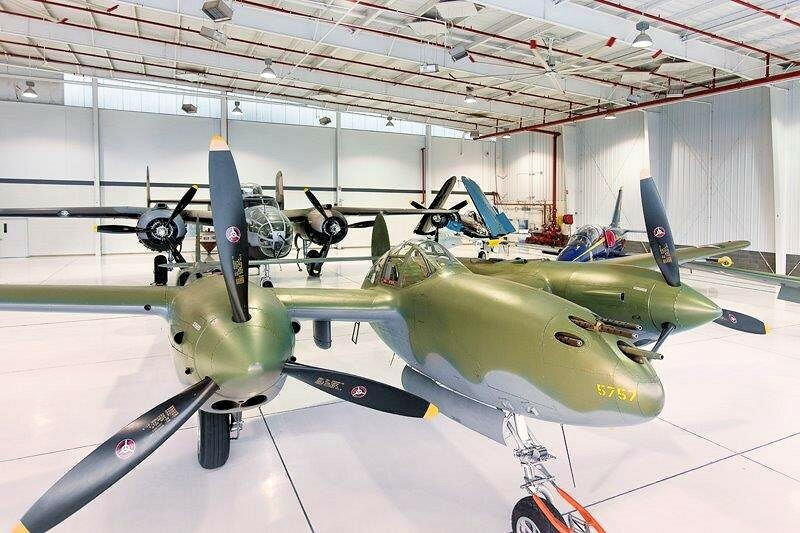 Each airplane in the facility has been meticulously restored to new flying condition and Rod fly’s all of them. One example is the P-38 Glacier Girl that was discovered 268 feet under the ice in Greenland where it was force landed on a ferry flight to Europe in 1942. If available Bob Cardin, who was in charge of the Greenland operation to recover Glacier Girl, will give a 20 minute briefing on the problems and techniques used for the recovery. There is no group size limit number for the SSS. Try not to walk around with your tongue hanging out.